about the changes that happen during puberty! The third in the I’m a Girl series, for ages 10+. 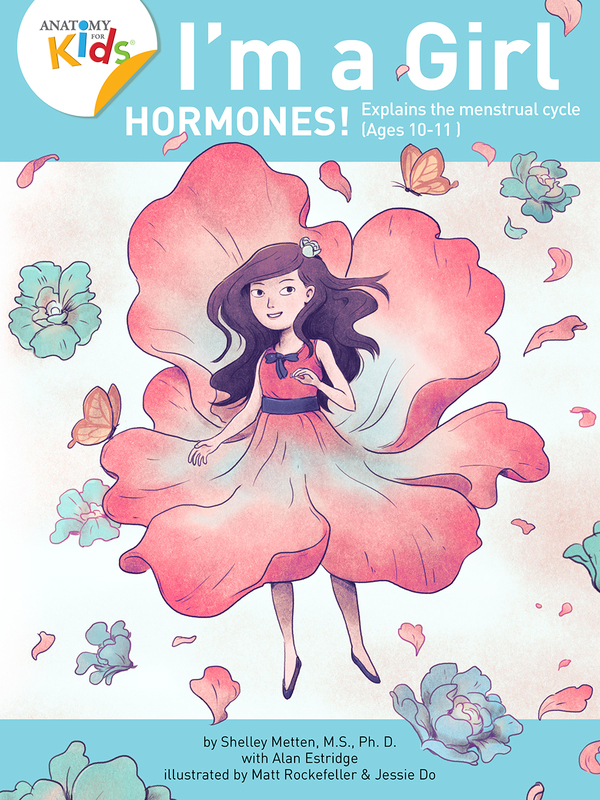 Inside this book, your daughter will learn about how her body changes during puberty, including starting her period, how to track her monthly cycle, how to use a tampon, and more. After reading I’m a Girl, Hormones!, your daughter will be armed with knowledge and more comfortable about the changes that she is going to experience. 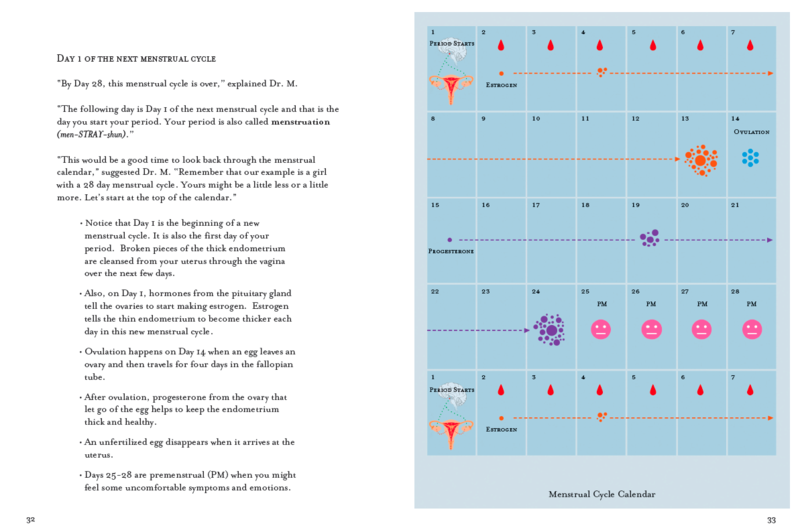 The goal of this book is to celebrate puberty as a time of beautiful transition in your daughter’s life. The content of the book is supported by Interactive Questions and Exercises as well as a useful Help for Parents section. In our Parent Q & A section, you will find commonly asked questions for parents of children in this age group. I have three daughters and have bought all three of Dr. Metten’s books on Anatomy for Girls. They are a wonderful way to start an early conversation with your children about how their bodies work. Most books only talk about the psycho/social aspects of puberty, but these books are pure science. I now have an eleven, nine and six year old and each book in their age range perfectly addresses their questions. Thank goodness this book came out as my daughter entered middle school! By starting the conversations early, we seem to have avoided a lot of the embarrassment and shyness that many of my friends have experienced with their kids. The second in the I’m a Girl Se ries, for ages 8 – 9. Your daughter is starting to notice changes in her body, and you see her growing up before your eyes. This is the first of two books that talk about puberty. It is written for 8-9 year olds who are entering early puberty. The storyline in this book is a continuation from the first book in the series, I’m a Girl, Special Me. 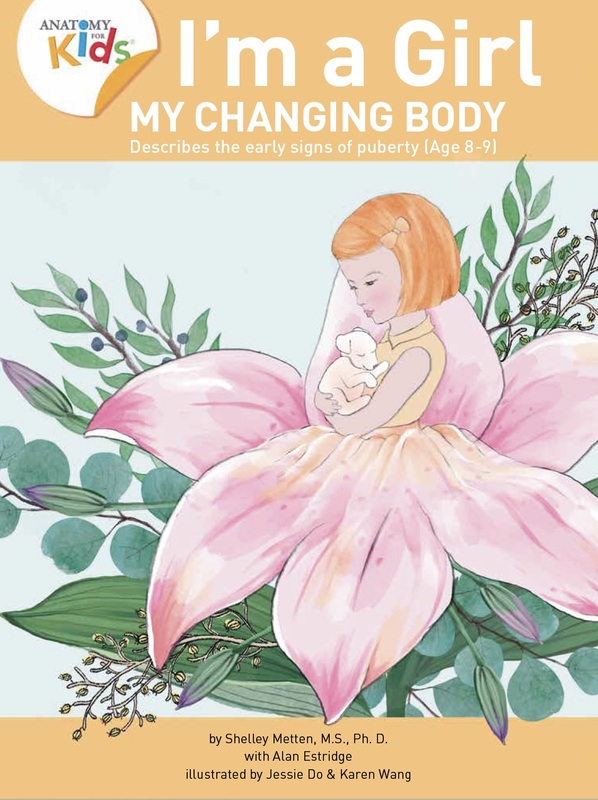 Now the three girls are a little older, and Dr. M uses colorful and accurate illustrations to teach them about the physical changes they can expect as they enter puberty, namely lumps in their breasts and hair in new places. Dr. M helps the girls understand that puberty is a special time of transition in their life and that the changes they will notice are experienced by all young girls. The book is supported by Interactive Questions and Exercises, a useful Help for Parents. In our Parent Q & A section, you will find commonly asked questions for parents of children in this age group. Gets the conversation started with information! My wife heard Dr. Metten speak at a parent education night and bought the book there. We left it laying about so of course our kids picked it up and devoured it. The text and images are clear and informative and give simple medical explanations for changes. The anatomy drawings are also very clear and present information in a non-judgemental way. This book opened up a lot of discussion over the last couple of years with our children, and also answered questions they might not have thought to ask (body odor, budding etc.) allowing them to come to us to answer questions instead of guessing or relying on notoriously mis-informed elementary school peers. Highly recommend. Easy, accurate book for kids to be able to read to understand their anatomy and development. This is the first book in the I’m a Girl Series, for ages 5 – 7. 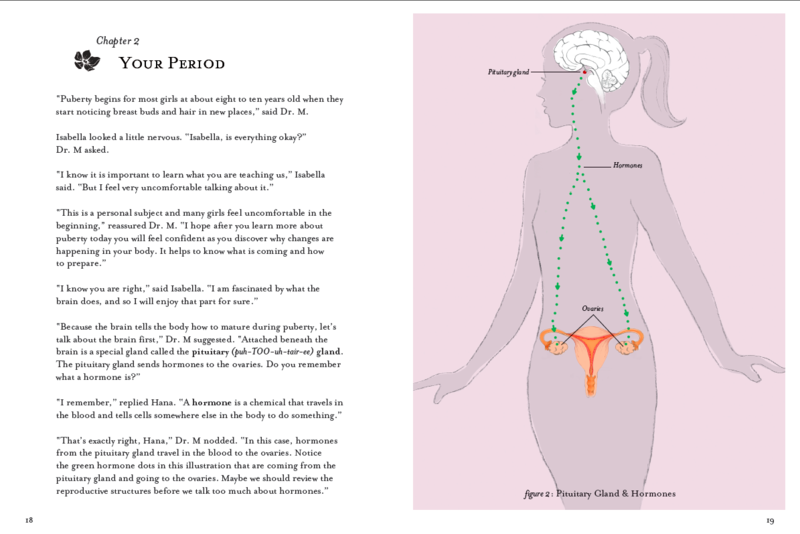 This invaluable, age-appropriate resource is for you to begin the discussion with your young daughter about her girl anatomy. 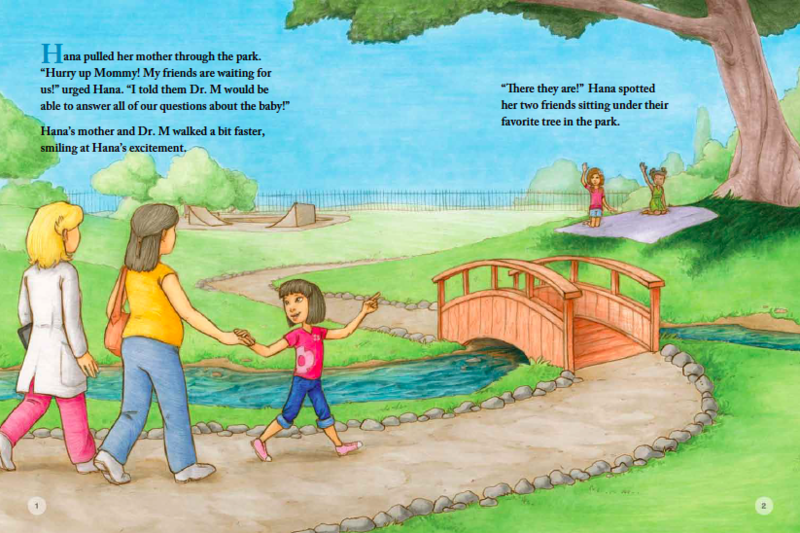 The theme, “where babies come from” is developed through a fun storyline that includes Dr. M and three young girls your daughter’s age. Dr. M educates the girls using beautifully illustrated drawings and simple explanations. This book will be of particular interest to a young girl whose mother is pregnant or has recently given birth. 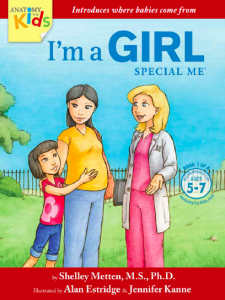 I’m a Girl, Special Me is intended to be read by a parent and a child together. Parents are supported by additional resources including Interactive Questions and Exercises from the book, and a Help for Parents section to enhance the learning experience. There are commonly asked Questions and Answers for parents of children in this age group on the website as well. It is important that our young daughters are educated about their body as they begin to mature. After reading this book, your daughter will have learned the basic structures and concepts of her girl anatomy and you will have begun an evolving discussion with her that will be a treasure for both of you. An excellent educational resource explaining girl anatomy. I read this book from my own perspective as a parent and elementary school teacher, and I found the contents to be very engaging, and presented in a clear and interesting manner. The visuals were helpful because they showed the anatomy being explained. 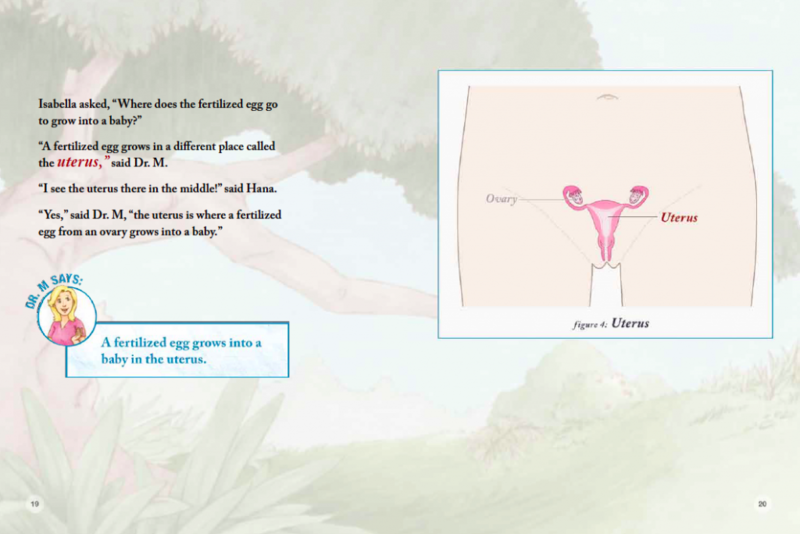 The book itself is written in a natural conversational format with a Doctor Metten comfortably explaining girl anatomy and answering the questions of several curious girls.I wish I had this book when my children were young. It contains information every child should (and would want to) know. This book would encourage dialogue and lead to more openness on a sensitive and sometimes avoided topic. It would be a valuable resource for parents of young girls and I highly recommend it.